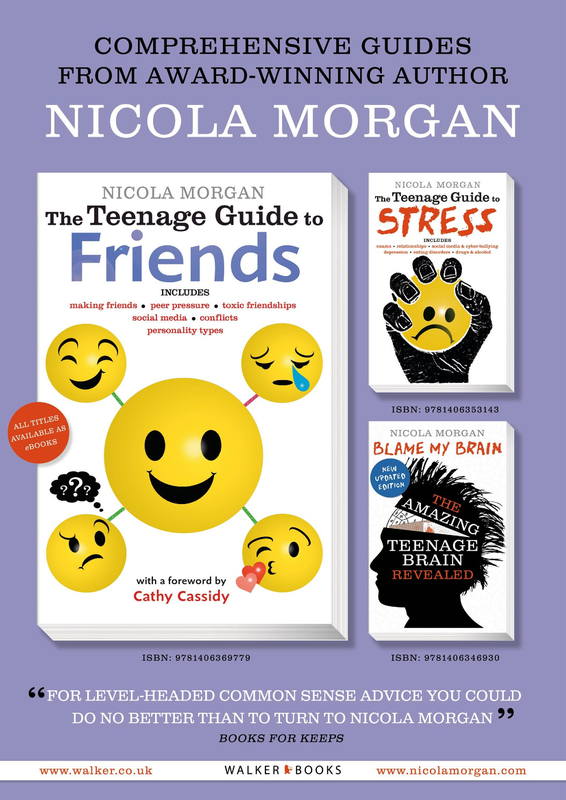 The Teenage Guide to Friends tackles the all-important subject of friendships, taking the view that if we understand human behaviour – why we do and say and feel what we do and say feel – we can cope so much better when people behave in negative ways. It is, really, a basic guide to human psychology in the context of the behaviour of people around us. It has sections on making friends, being a good friend, how to deal with problems, not fitting in, toxic friendships and frenemies, building empathy and many reasons why people behave as they do to you. Core target age: 11-14 but suitable for anyone interested. 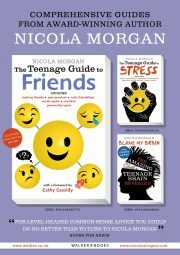 The Teenage Guide to Friends tackles the all-important subject of friendships, taking the view that if we understand human behaviour – why we do and say and feel what we do and say feel – we can cope so much better when people behave in negative ways. It is, really, a basic guide to human psychology in the context of the behaviour of people around us. Originally, it was going to be called Ten Things You Need to Know About the Person Sitting Next to You. 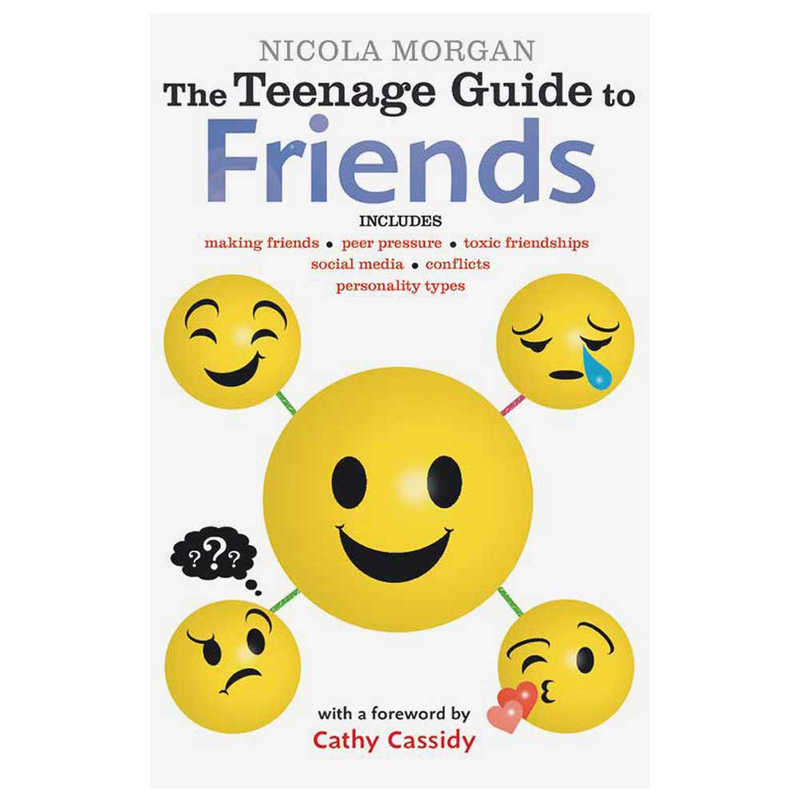 Contents include making friends, keeping friendships strong, and what happens when they break down – as well as a look at online friendships, cyber-bullying, toxic friendships and frenemies, and empathy. There is also discussion and analysis of personality types – introverts and extroverts, Type A and Type B people, for example – with quizzes to help you discover what sort of person you are, how you relate to others and how to deal with difficult situations. I also deal with how difficult family situations or other stresses can affect behaviour; some of the reasons behind people feeling they “don’t fit in”; and the whole psychology of group behaviour and the “bystander effect”. Complete with strategies and things to think about and a list of helpful resources in the back. This is not just a book for people having difficulties with their friends and peers: it’s a book to help us all understand the people around us so that we can feel more in control and better about ourselves. Written for teenagers; also invaluable for adults. Just click TTGF POSTER and you’ll find this free downloadable poster of TTGFriends, TTGStress and Blame My Brain. If you order a Brain Stick, I will send you a printed A2 one (and other freebies! ).